Speaking to the Nation , the fan, who said she was “deeply disappointed by the artiste’s action,” wondered why Brown, a renowned singer, grabbed her phone and threw it away, landing on the floor. “I was with my friends and was trying to take a selfie when he grabbed the phone from the back. I was shocked. 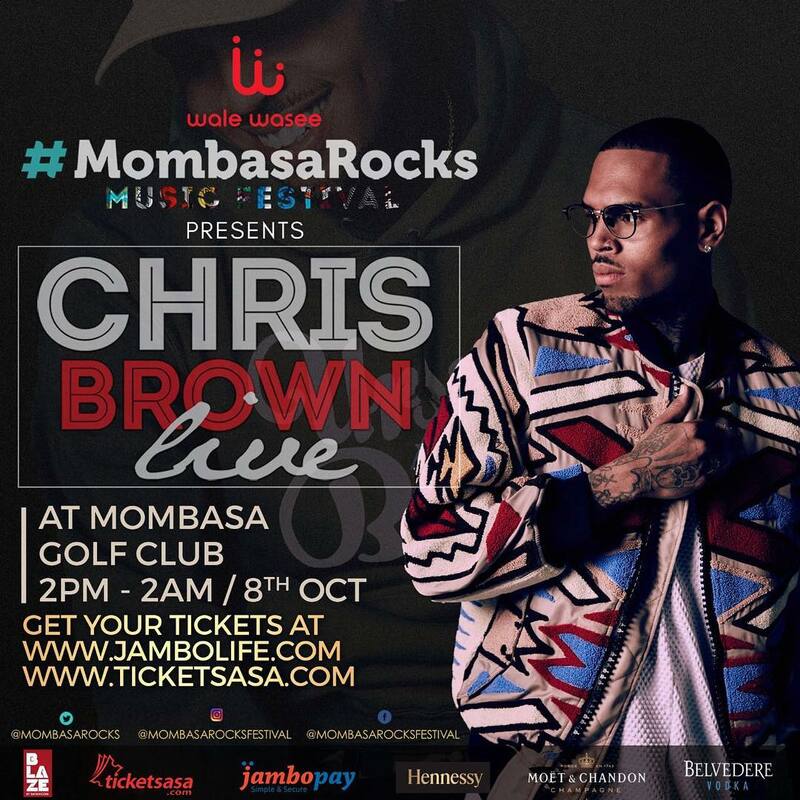 A ticket to the show is going for Sh5,000 per person. The “Loyal” hit singer touched down at the Moi International Airport in Mombasa at around 11.30am. He arrived in his private jet. He was escorted to the English Point Marina under heavy security, with both personal and local bodyguards. His Nigerian counterpart Wizkid was also booked in at the same classic hotel Friday night when he arrived . 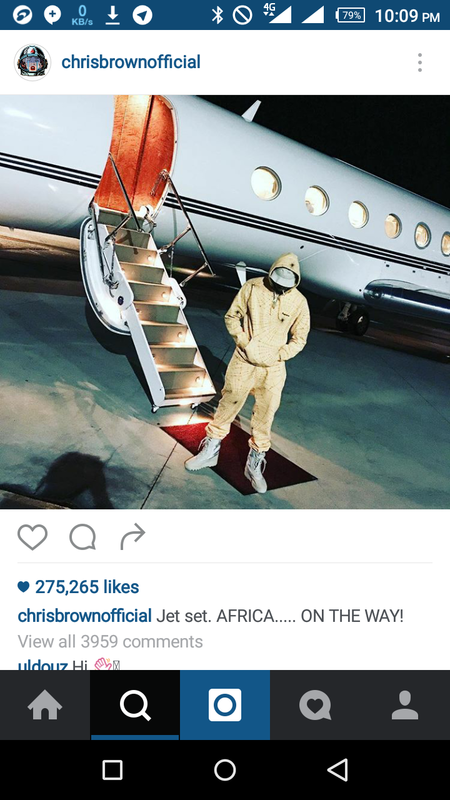 Chris Brown widely known as “Breezy” will also share the stage with Tanzanian Bongo flava star Ali Kiba and Ugandan rapper Navio. She suspects he could have lost his way at or near Eastleigh. Reality TV star Kim Kardashian returned to New York “badly shaken” on Monday after being robbed at gunpoint in her Paris residence by masked men who stole some $10 million worth of jewelry from her. Kardashian, who her publicist said was “badly shaken but physically unharmed,” said nothing to waiting media upon her arrival. The robbery set social media ablaze with some users making fun of the latest headline-grabbing event in the life of a TV star who documents her life continually on screen and on social media.